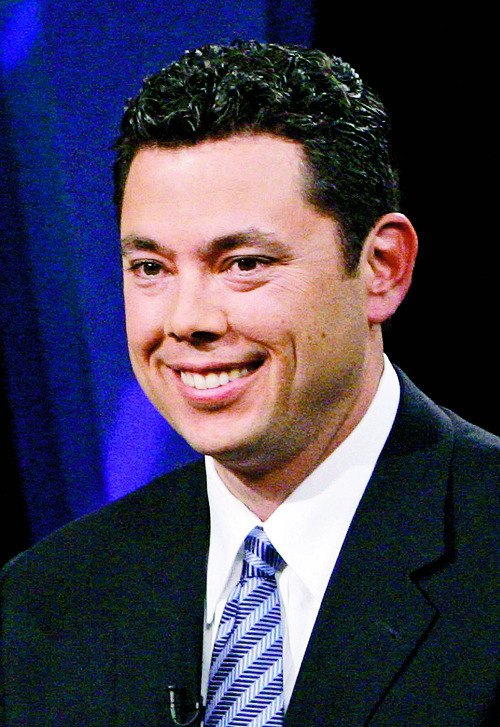 U.S. House • Says Utah congressman: "U.S. response has been pathetic and disappointing." Washington • House Republicans on Wednesday called U.S. disaster relief efforts in earthquake-ravaged Haiti "pathetic" and charged the nation's foreign assistance agency with failing to track its money appropriately or monitor the results of its efforts. Rep. Jason Chaffetz, R-Utah, led the attack in a House hearing focused on the United States Agency for International Development (USAID). The hearing was an outgrowth of trips Chaffetz and other House members made to Haiti, Afghanistan, Pakistan and Iraq  places where USAID has a major presence. He became frustrated with a lack of information and became convinced the agency had mismanaged its money. "Americans are paying top dollar for foreign assistance. Unfortunately, the taxpayer is not getting top-dollar results," said Chaffetz, chairman of the House subcommittee on foreign affairs, pointing to USAID's programs in Haiti where rubble and trash overwhelm many streets and many still have no electricity. USAID Administrator Rajiv Shah defended his agency's response, calling the initial disaster relief effort "tremendous," which included feeding hundreds of thousands of suddenly homeless Haitians and providing medical care. He said the agency has been hampered by bureaucratic delays within the Haitian government and also stressed that progress in Haiti is relative, reminding the congressmen in attendance that it is the poorest country in the Western hemisphere. But Chaffetz pointed to reports from the inspector general that said USAID was far behind its own goals for rubble removal and the building of temporary shelters, despite having roughly $1 billion in funds. Rep. Darrell Issa, R-Calif., the chairman of the Committee on Oversight and Government Reform, told Shah that if this kind of response happened in the United States, he would be fired. USAID administers $18 billion in foreign assistance and oversees development projects in more than 80 countries, but Afghanistan, Pakistan and Haiti accounted for more than one-fourth of its budget in fiscal year 2010 in large part because of the war and natural disasters. Rep. John Tierney, D-Mass., the top Democrat on the subcommittee, said he fully supports the agency and noted that U.S. military leaders have repeatedly argued that the "soft power" of foreign assistance is vital to bolstering security in these countries. He said he hoped the hearing wasn't part on an effort to cut USAID funding because "those proposed cuts, I think, are shortsighted. Aid is the key to building stronger sovereign governments that can support their own people." But Tierney said there were also "disconcerting levels of waste, fraud and abuse" as well as "a lack of vision and focus" in programs in these war-torn and earthquake-ravaged nations. "USAID's mission is so important we simply cannot afford to make these same mistakes again," Tierney said. He complimented Shah for implementing a series of reforms meant to streamline its contracting process and improve its ability to track program results by relying on independent auditors. Chaffetz seized on a comment from the inspector general at USAID, who said the agency had repeatedly exaggerated the results of its aid programs in more than one-third of its audits. "This is a staggering observation," he said, providing examples such as a program that purported to benefit 260,000 people, but only treated 100 victims with a specific medical problem. "In many ways, this is blatant fraud." He said the bottom line is if the agency can't accurately report on the impacts of its programs then it is not managing its money appropriately. Shah said the agency is in the process of improving its record keeping but suggested that it faces significant problems in the countries Chaffetz has focused on because they are dangerous places. "USAID is working hard to ensure we spend every tax dollar in the most effective, efficient and transparent way we can, even under constraints or threats of violence," Shah said in his written comments.